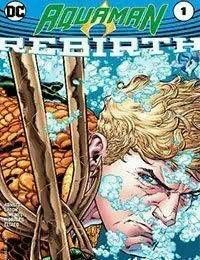 Born to both the surface and the sea, Arthur Curry walks in two worlds but can find a home in neither. The King of Atlantis looks to reconcile his split heritage as he embarks on a new mission that may finally make him choose between his two paths.POLITICAL PLAYER: As the leader of a world power, writer Dan Abnett says, Arthur believes its time Atlantis became part of the global community. Atlantis has been on the outside for too long: feared, mysterious and misunderstood. But that means getting the world used to Atlantis...and vice versa.